Andrew Collins sits in for Lauren Laverne and welcomes Bombay Bicycle Club in to the 6 Music studios for a live session. 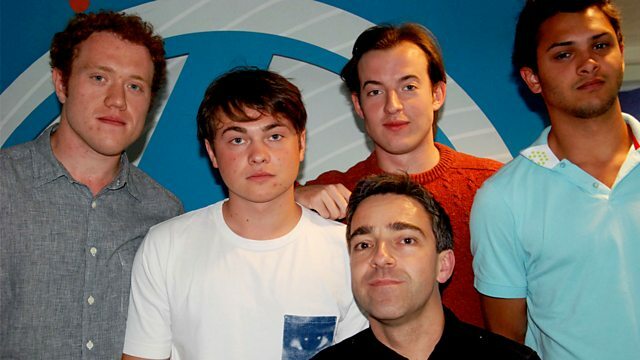 Andrew Collins sits in for Lauren and welcomes band Bombay Bicycle Club into the 6music studios for a live session. The London indie rock foursome sprung to prominence in 2006 after winning the Channel 4 "Road To V" competition. Now all grown up, they released their third album 'A Different Kind Of Fix' on the 28th August which they will be playing tracks from on todays show. Plus Stuart Dredge brings us his weekly guide to all things smartphones in Planet Of The Apps and Biorhythms asks another listener to suggest tunes that make them dance, cry. PIAS / PUNK ROCK BLUES. Power To The Mowtown People.